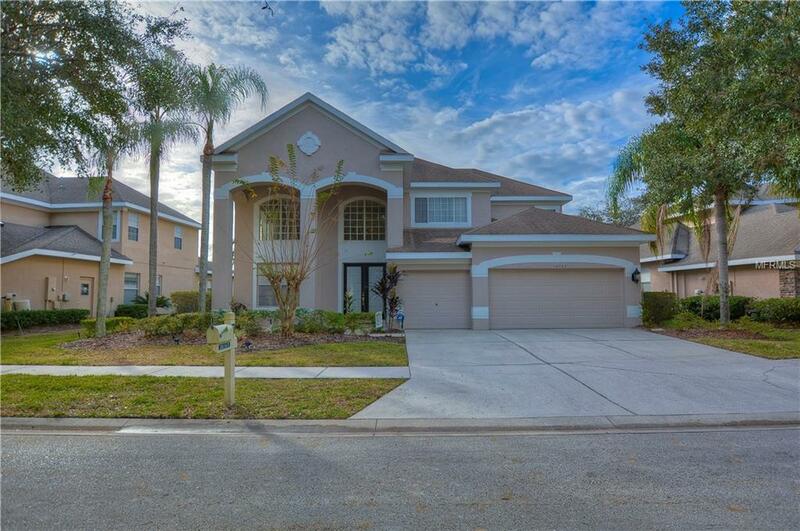 Luxurious Pool Home in Arbor Greene overlooking beautiful pond. 4 bedroom + Bonus + Den + Loft, 3.5 baths, 3 car garage. 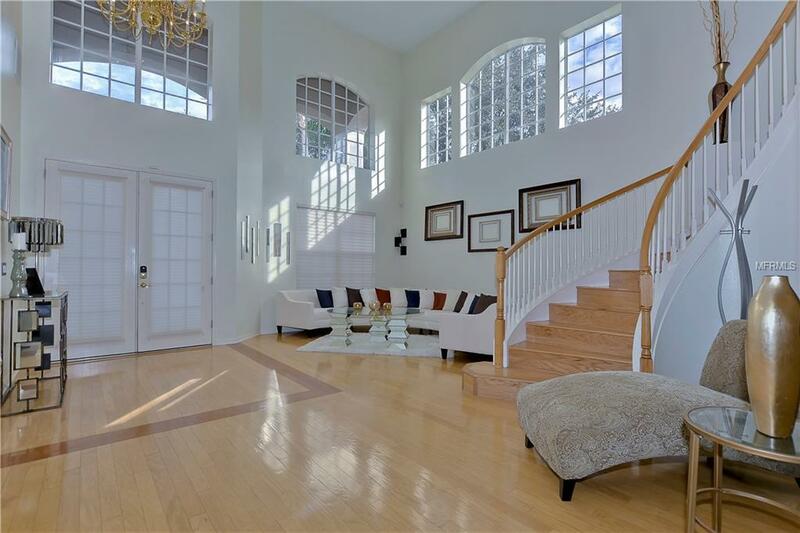 Incredible home features a stunning 2-story entrance with spiral staircase and elegant living room. 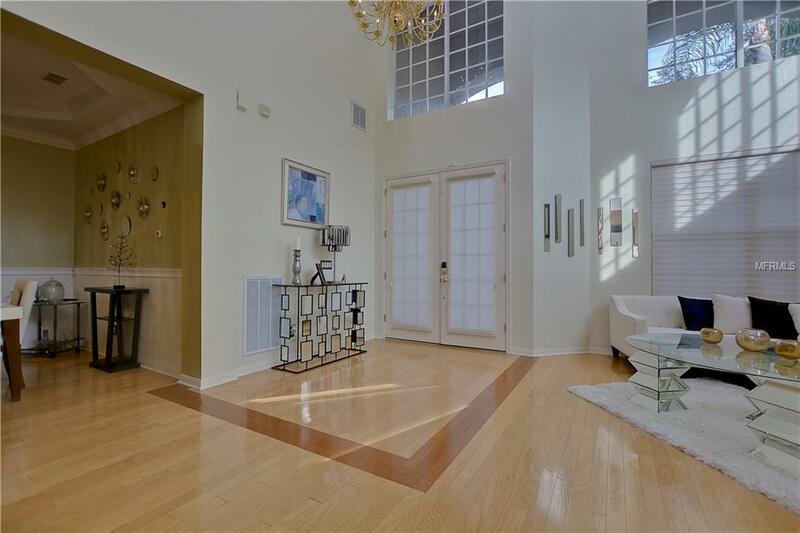 Tons of natural light, hardwood oak floors, crown molding, tray ceilings, and neutral paint. Custom kitchen features 42 cabinets with pull-outs, Corian counters, tiled backsplash, island, desk area, walk-in pantry. Breakfast area w/bay window. 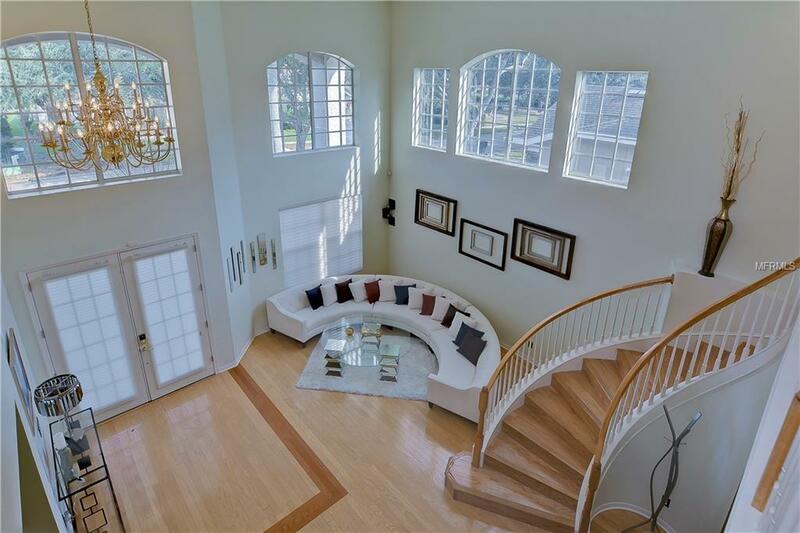 Large family room with high ceilings. Downstairs Owners Retreat w/raised sitting area. Gorgeous master bath features dual vanities, garden tub, and closet system. Spacious loft overlooks entryway and has large closet for additional storage. Bonus room pre-wired for media. Large secondary bedrooms w/walk in closets. Jack and Jill bathroom. Inside laundry w/cabinetry, Maytag washer & dryer, Central vacuum system. Trussed roof lanai overlooking a beautiful pond is wired for TV and speakers. Gas heated pool w/safety fence. Outdoor kitchen fully equipped with grill, countertops, refrigerator and cabinets. 3-car garage w/storage area, built-in shelves and refinished floor. Playground located directly across the street. Community offers state of the art aquatic and sports complex and tons of recreation activities. Secured by a 24 hour manned gate and Parkview has a secondary electronic gate. The New Tampa area features highly rated schools, shopping, restaurants, and is near USF, Moffitt, VA Hospital, Premium Outlets, and Center Ice. Easy access to I-75. Listing provided courtesy of Coast To Coast Realty.